Don't Stop Believin' - Journey Tribute is no longer playing in Branson. Join a group of incredible performers in an exhilarating musical act as a tribute to one of the hottest bands in music at Don’t Stop Believin’ – Journey Tribute. The band of talented singers and musicians will take you on a memorable journey through some of the band’s timeless hits, including “Separate Ways,” “Faithfully,” “Stone in Love,” “Who’s Cryin’ Now,” “Wheel in the Sky,” and, of course “Don’t Stop Believin’.” The whole family can reminisce lifelong favorite songs in a two-hour live performance. Branson is home to a number of memorable musical shows, but only one can bring the sounds of Journey to stage in such an authentic performance. The band brings the musical style of Journey together in an exciting concert that will get you on your feet and dancing all night. At the intimate Branson Tribute Theatre, you will always get the performance of a lifetime. Formed in 1973 in San Francisco, Journey has become one of the most well-known bands in American rock. Their 1981 hit “Don’t Stop Believin’” has become one of the most top-selling tracks in iTunes history and is one of the most recognized rock songs. Throughout the years, Journey has undergone stylistic alterations, changes in band members, and a widened appeal in the public. The band has also delivered two gold albums, eight multi-platinum albums, and one diamond album, while their songs have been labeled as arena rock staples, and over a dozen have been top 40 singles in the U&period;S&period; Journey has become one of the most recognized bands in rock music, their songs having been adapted in numerous films, television programs, video games, and on Broadway. 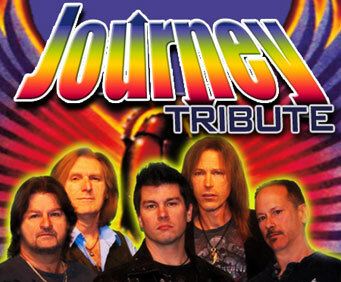 For lifelong and newcomer Journey fans alike, this tribute show is a must see. The sounds of Journey still grace the airways today, but hearing them live is an experience unlike any other. Join the band at the Branson Tribute Theatre for a night filled with your favorite rock songs. Enjoyable performance. Theatre small but lots of legroom between seats. It was fabulous? They sounded like journey. They were very friendly and personable during intermission and after the show. This was a great show...The video background with the original journey band, was beautifully syncronized with the tribute band, and the singing and music was high quality and very professional. On top of that, the band was very audience friendly and engaging, taking time at break and after the show to shake hands and thank the audience. Loved it! The guys were great musicians & really personable & friendly. Enjoyed the atmosphere of the smaller theater & being close to the performers.